Remodeling your bathroom is time consuming and expensive. Before you begin tearing out fixture and ceramic tile, you need a few helpful tips to get you going in the right direction. Whether it’s a guest bathroom or a master bathroom, you need to have your game plan mapped out before you begin. Without a proper plan in place, it’s likely that your bathroom remodeling project will wind up costing you more time and money than you planned on. Below you’ll find a few helpful bathroom remodeling tips. Don’t break out the phone book just yet. Before you hire a contractor to remodel your bathroom, you need to have a budget set in stone. Setting a budget will help you save time and money throughout the duration of your project. It’s always good to have an ending point in sight. When you know where your funds end and begin, it’s easy to start working in materials you can afford. A good contractor will have plenty of bathroom tips and tricks to help you stay within your financial means. You need to know that your contractor has plenty of experience under his belt. Working with an inexperienced contractor will likely turn your remodeling plans upside down. You need to know that you’re working with professionals that can execute a plan and stick to your budget without compromising the quality of your work. 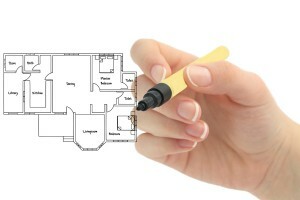 Once you’ve found your contractor, it’s time to develop a design. While you may have good ideas for your Columbus Bath Design by Luxury Bathroom remodeling project, your contractor will be able to help you cultivate a design plan that makes sense. Whether you want a huge enclosed shower or a claw foot tub, your contractor will go the extra mile to ensure you’re getting exactly what you need. At Columbus Bath Design by Luxury Bath, we take great pride in the quality of our work and the products we offer. If you’re ready to start your bathroom remodeling project, you’ve come to the right place. Give us a call now to get the superior bathroom tips you need.